S. Qavi, A. Lindsay, M. Firestone, R. Foudazi, “Ultrafiltration Membranes from Polymerization of Self-Assembled Pluronic Block Copolymer Mesophases”, Journal of Membrane Scienece, Accepted. N.A. Sears, T.S. Wilems, K.A. Gold, Z. Lan, S.N. Cereceres, P.S. Dhavalikar, R. Foudazi, E.M. Cosgriff‐Hernandez, “Hydrocolloid Inks for 3D Printing of Porous Hydrogels”, Advanced Materials Technologies, Accepted. Z. Daneshfar, F. Goharpey, R. Foudazi, “Depletion-induced interaction in concentrated bimodal suspensions of nanosilica in poly(ethylene glycol)”, Rheologica Acta, Accepted. P. Siahcheshm, F. Goharpey, R. Foudazi, “Droplet retraction in the presence of nanoparticles with different surface modifications”, Rheologica Acta, Rheologica Acta 57, 729-743 (2018). N. Sanatkaran, V.G. Kulichikhin, A.Ya. Malkin, R. Foudazi, “Spreading of oil-in-water emulsions on water surface”, Langmuir 34, 10974-10983 (2018). J. Nasrollah Gavgani, F. Goharpey, S. Velankar, R. Foudazi, ” Suppressing droplet coalescence and aggregation in immiscible homopolymer blends by interfacially cross-linked compatibilizers”, Journal of Rheology 62, 1217-1231 (2018). Z. Emami, M. Ehsani, M. Zandi, R. Foudazi, “Controlling alginate oxidation conditions for making alginate-gelatin hydrogels”, Carbohydrate Polymers 198, 509-517 (2018). Q.P. Chen, S. Xie, R. Foudazi, T.P. Lodge, J.I. Siepmann, “Understanding the Molecular Weight Dependence of χ and the Effect of Dispersity on Polymer Blend Phase Diagrams”, Macromolecules 51, 3774–3787 (2018). M.A. Sanjari Shahrezaei, F. Goharpey, R. Foudazi, “Effect of Particle-Particle and Polymer-Particle Interactions on Nanosilica Aggregation in Polystyrene”, Polymer Composites 39, 2904-2914 (2018). F. Karkhaneh-Yousefi, F. Goharpey, R. Foudazi, “Interfacial Activity of Reactive Compatibilizers in Polymer Blends”, Rheologica Acta 56, 851-862 (2017). Z. Daneshfar, F. Goharpey, H. Nazockdast, R. Foudazi, “Rheology of Concentrated Bimodal Suspensions of Nanosilica in PEG”, Journal of Rheology 61, 955-966 (2017). C. Kuang, S. Qavi, R. Foudazi, “Double-stage phase separation in dynamically asymmetric ternary polymer blends”, RSC Advances 6, 92104-92114 (2016). N. Khazeni, R. Foudazi, A. Ghassemi, “Zn(NH3)(CO3) inorganic helical framework for selective separation of carbon dioxide”, Chemical Engineering Journal 304, 369-375 (2016). A. Ghorbani, A. Ghassemi, P.K. Andersen, R. Foudazi, “A Prediction Model of Mass Transfer through an Electrodialysis Cell”, Desalination and Water Treatment 57, 22290-22303 (2016). J. Khademzadeh Yeganeh, F. Goharpey, E. Moghimi, G. Petekidis, R. Foudazi, “Manipulating the Kinetics and Mechanism of Phase Separation in Dynamically Asymmetric LCST Blends by Nanoparticles”, Physical Chemistry Chemical Physics 17, 27446-27461 (2015). R. Foudazi, S. Qavi, I. Masalova, A.Ya. Malkin, “Physical Chemistry of Highly Concentrated Emulsions”, Advances in Colloid and Interface Science 220, 78–91 (2015). G. Pircheraghi, R. Foudazi, I. Manas-Zloczower, “Characterization of Carbon Nanotube Dispersion and Filler Network Formation in Melted Polyol for Nanocomposite Materials”, Powder Technology 276, 222–231 (2015). J. Khademzadeh Yeganeh, F. Goharpey, E. Moghimi, G. Petekidis, R. Foudazi, “Controlling the Kinetics of Viscoelastic Phase Separation through Self-Assembly of Spherical Nanoparticles or Block Copolymers”, Soft Matter 10, 9270-9280 (2014). J. Khademzadeh Yeganeh, F. Goharpey, R. Foudazi, “Anomalous Phase Separation Behavior in Dynamically Asymmetric LCST Polymer Blends”, RSC Advances 4, 12809-12825 (2014). E. Moghimi, F. Goharpey, R. Foudazi, “Role of Droplet Bridging on the Stability of Particle Containing Immiscible Polymer Blends”, Rheologica Acta 53, 165-180 (2014). R. Foudazi, P. Gokun, D.L. Feke, S.J. Rowan, I. Manas-Zloczower, “Chemorheology of Poly(High Internal Phase Emulsions)”, Macromolecules 46, 5393-5396 (2013). 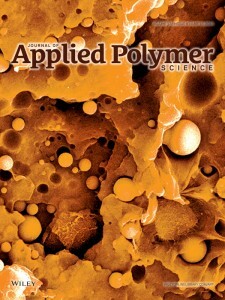 R. Foudazi, H. Nazockdast, “Rheology and Morphology of Nano-Silica Containing Polypropylene and Polypropylene/Liquid Crystalline Polymer Blend”, Journal of Applied Polymer Science 128, 3501-3511 (2013). J. Khademzadeh Yeganeh, F. Goharpey, R. Foudazi, “Can only rheology be used to determine the phase separation mechanism in dynamically asymmetric polymer blends (PS/PVME)?”, RSC Advances 2, 8116-8127 (2012). R. Foudazi, I. Masalova, A.Ya. Malkin, “The Rheology of Binary Mixtures of Highly Concentrated Emulsions: Effect of Droplet Size Ratio”, Journal of Rheology 56, 1299-1314 (2012). R. Foudazi, I. Masalova, A.Ya. Malkin, “Flow behaviour of highly concentrated emulsions of supersaturated aqueous solution in oil”, Rheologica Acta 50, 897-907 (2011). R. Foudazi, I. Masalova, A.Ya. Malkin, “Rheology of binary mixtures of highly concentrated emulsions”, Applied Rheology 21, 25326 (2011). I. Masalova, R. Foudazi, A.Ya. Malkin, “The rheology of highly concentrated emulsions stabilized with different surfactants”, Colloids and Surfaces A 375, 76-86 (2011). J. Khademzadeh Yeganeh, F. Goharpey, R. Foudazi, “Rheology and Morphology of Dynamically Asymmetric LCST Blends: Polystyrene/Poly(vinyl methyl ether)”, Macromolecules 43, 8670-8685 (2010). R. Foudazi, I. Masalova, A.Ya. Malkin, “Effect of interdroplet interaction on elasticity of highly concentrated emulsions”, Applied Rheology 20 (4), 45096 (2010). R. Foudazi, I. Masalova, A.Ya. Malkin, “The role of interdroplet interaction in the physics of highly concentrated emulsions”, Colloid Journal, 72, 74-92 (2010). R. Foudazi, H. Nazockdast, “Rheology of polypropylene/ liquid crystalline polymer blends: Effect of compatibilizer and silica”, Applied Rheology 20 (1), 12218 (2010). I. Masalova, A.Ya. Malkin, R. Foudazi, “Yield stress of emulsions and suspensions as measured in steady shearing and in oscillations”, Applied Rheology 18 (4), 44790 (2008). F. Goharpey, R. Foudazi, H. Nazockdast, A.A. Katbab, “Determination of Operational Conditions of a Twin Screw Extruder for the Preparation of Thermoplastic Vulcanizate based on Batch mixer Results”, Journal of Applied Polymer Science 107, 3840-3847 (2008). M. Malekzadeh, F. Goharpey, R. Foudazi, “Flow Analysis of Flat Spiral Dies and Comparison with Cylindrical Spiral Mandrel Dies”, International Polymer Processing 23, 38-46 (2008). R. Foudazi, C. Bezik, D. Feke, S. Rowan, I. Manas-Zloczower, “Method for the Production of High Internal Phase Emulsion Foams”, US 9,574,058 B2, 2017. S. Qavi, R. Foudazi, A. Lindsay, “Antimicrobial Filtration Membranes”, Submitted: 2016, Application: 2018. R. Marks, R. Foudazi, N. Sanatkaran, R. Zowada, ” Prosthetic Sleeve Liner”, Submitted: 2017, Application: 2018. N. Khazeni, A. Ghassemi, J. Rastegary, R. Foudazi, “ZIFs Based on Ring Carbonyl Containing Imidazoles and Their Synthesis”, Submitted: 2015, Patent Number is Pending. N. Khazeni, A. Ghassemi, J. Rastegary, R. Foudazi, “Synthesis of Zn(NH3)(CO3) Inorganic Helical Framework and its use for Selective Separation of Carbon Dioxide”, Submitted: 2016, Patent Number is Pending. S. Qavi, A. Lindsay, M. Firestone, R. Foudazi*,“Ultrafiltration membranes from polymerization of self-assembled block copolymer mesophases”, 256th American Chemical Society National Meeting & Exposition, August 19-23, 2018, Boston, MA. N. Sanatkaran*, R. Foudazi, Flow behavior of submicron emulsions in different concentration regimes, The Society of Rheology 89th Annual Meeting, Oral Presentation, October 8 – 12, 2017, Denver, CO.
S. Qavi*, R. Foudazi, Rheological characteristics of water/oil/pluronic block copolymer mesophases, The Society of Rheology 89th Annual Meeting, Oral Presentation, October 8 – 12, 2017, Denver, CO.
R. Zowada, R. Foudazi*, “Poly(high internal phase emulsions) as supersorbent hydrogels”, 252nd American Chemical Society National Meeting & Exposition, August 21-25, 2016, Philadelphia, PA.